From an award-winning novelist, a hilarious and poignant coming-of-age story set 1967. Seventh grader Holling Hoodhood has a tough year ahead of him. First of all, his teacher, Mrs. Baker, keeps giving him the evil eye. Second of all, the class bully keeps threatening to do Number 167 (and you don’t even want to know what Number 167 is). Third of all, his father keeps calling him “the Son Who is Going to Inherit Hoodhood and Associates.” But things are changing in 1967, and while reciting his favorite curses from Shakespeare’s plays, Holling might just find the true meaning of his own story. 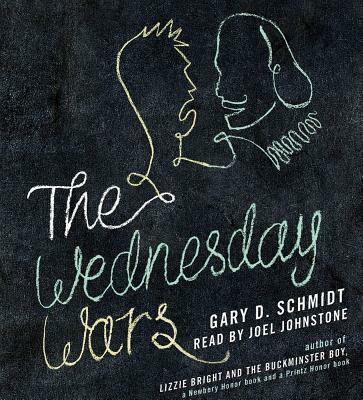 Gary D. Schmidt’s most recent novel, The Wednesday Wars, has been garnering excellent reviews. His novel Lizzie Bright and the Buckminster Boy won both a Newbery Honor and a Printz Honor. His other novels for Clarion are Straw into Gold and Anson’s Way. He is a professor of English at Calvin College in Grand Rapids, Michigan, and lives on a farm in Alto. He and his wife have six children.